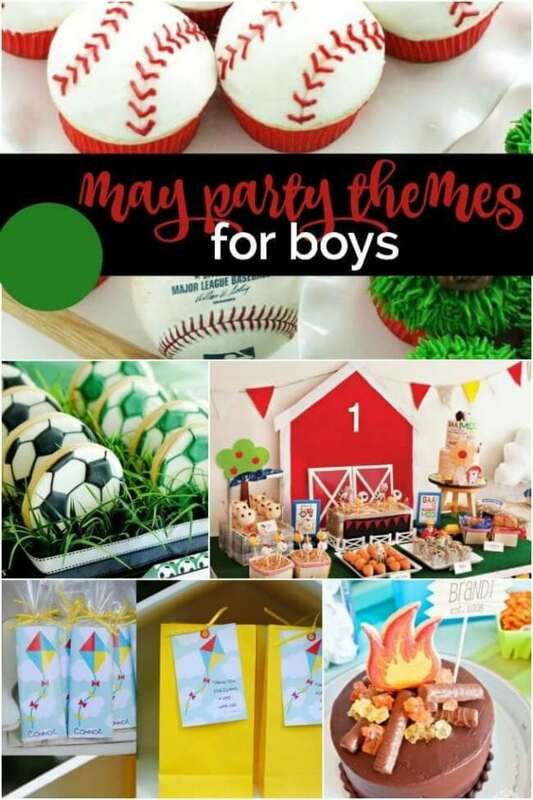 With the month of May comes warming weather and the opportunity to celebrate boy birthdays with outdoor themes inspired by nature, the great outdoors, sports, animals and insects. So—we’ve rounded up 17 ideas for celebrating May birthdays. From a baseball, golf or soccer party to a camping or kite party, your party guests will love celebrating a May birthday. Be sure to check out these 23 Awesome Camping Birthday Party Ideas. Take me out to the ball game… with these 24 Baseball Birthday Party Ideas. 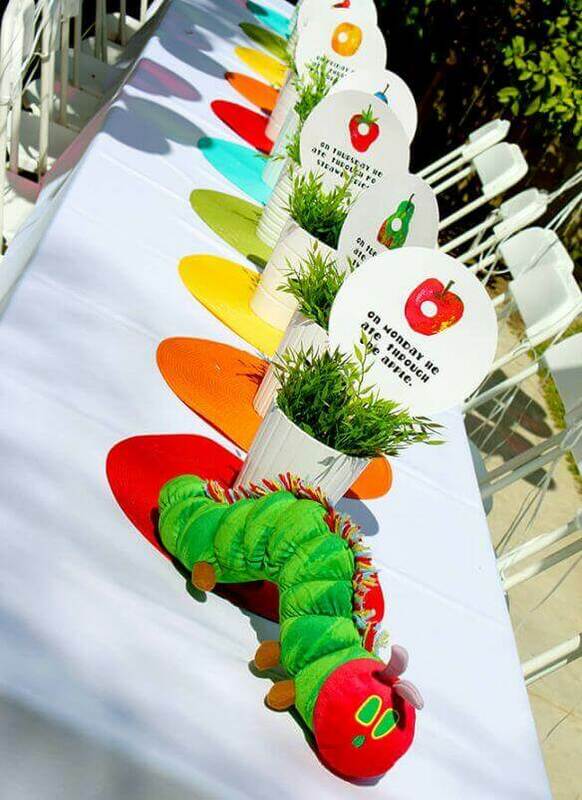 Everyone’s favorite childhood book comes to life at this Very Hungry Caterpillar themed birthday party! Perfect for the springtime, this garden themed party took place outside with crisp white tablecloths and colorful décor. Party guests were welcomed with DIY pomp om party hats and headband antennae and later painted their own flower pot to fill with their own floral arrangement. The birthday boy also cracked into a Whacky Cake that you have to check out! This darling Pinwheels and Kites first birthday party was filled with adorable kites flying through the sky. 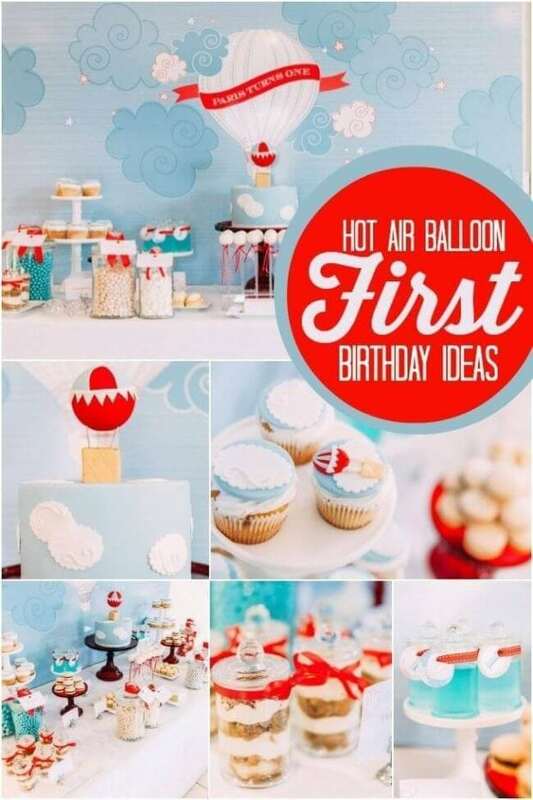 This post has so many ideas that would be wonderful for a birthday party or baby shower. My favorite parts of this party include the beautiful cake pops, the kite banner customized with the birthday boy’s name, and the patterned paper pinwheels scattered throughout. Beetles and spiders and flies, oh my! Two adorable little friends literally bugged out together for their fifth birthdays. The moms celebrated their sons with all things outdoors and bugs. 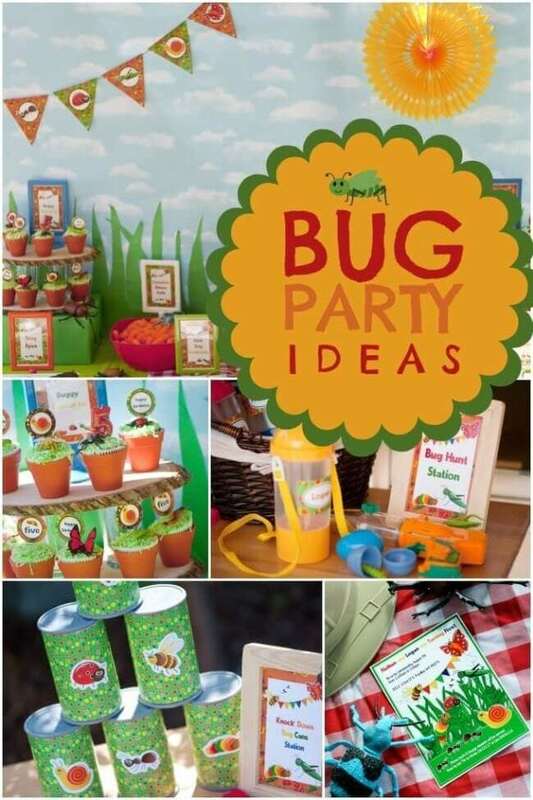 I’m pretty confident their picnic inspired decorations, bug themed cupcakes, and creative party activities will have you reaching for the bug spray. My favorite element in this whole party are the buggy cupcakes displayed in mini terracotta pots. Insect lovers will go buggy over this boy’s sixth birthday bug themed party. 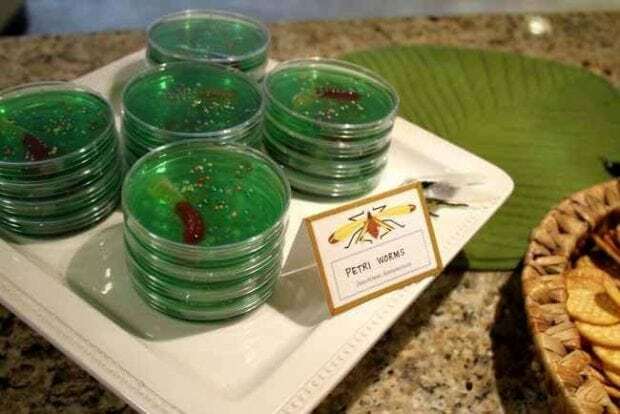 If you aren’t a bug lover, some of the clever ideas might actually make your skin crawl, but don’t squirm away from fabulous refreshments including Jello larvae petri dish treats! 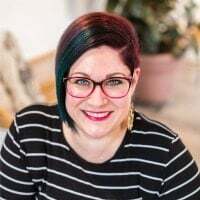 On top of all of the creative snacks, this mom also decked out their house with bug themed printables and a gorgeous multicolored circle garland hung from the ceiling. Not only are these little guys cute, they are also incredibly yummy. Blogger and baker teamed up to bring the vision to life for these amazing very hungry caterpillar push cakes. 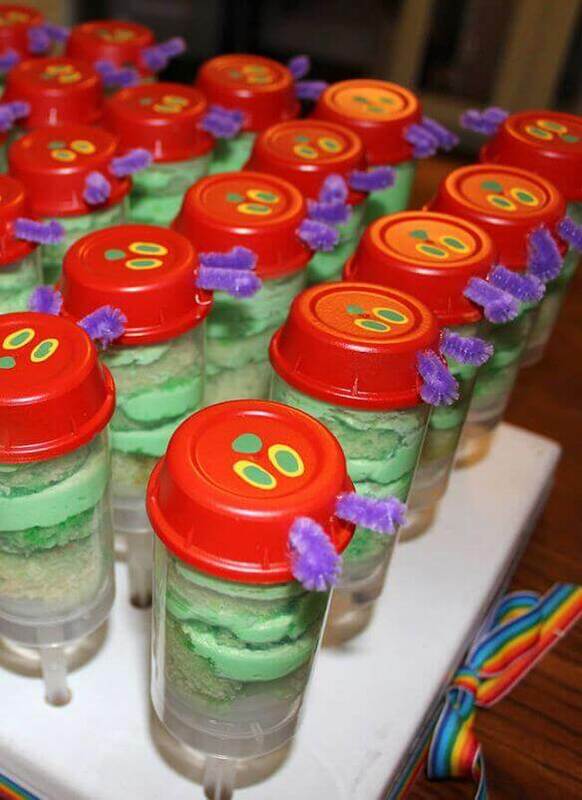 Vanilla cake layered with green icing is stacked inside plastic tubes then topped with a cover that looks just like the caterpillar from the book. These look wonderful displayed on a birthday dessert table. 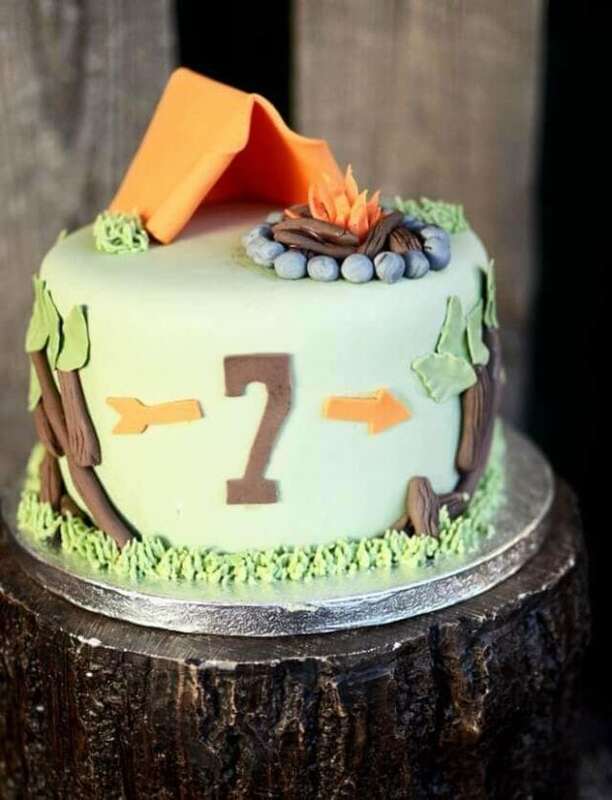 Spring brings the start of the camping season, so what better way to celebrate than with a camping themed birthday party! 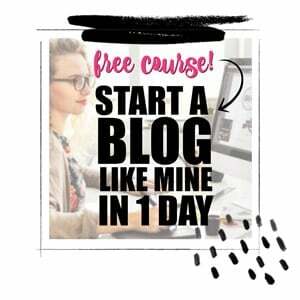 This blog post is filled with adorable ideas for a rustic and fun party decorated with bright orange, lime green, and soft brown. Be sure to keep an eye out for her fabulous custom burlap pillows designed with printable camping party graphics! I am also loving the burlap and moss birthday wreath and DIY s’mores station. Get ready to hit one out of the park with these assorted baseball cupcakes. 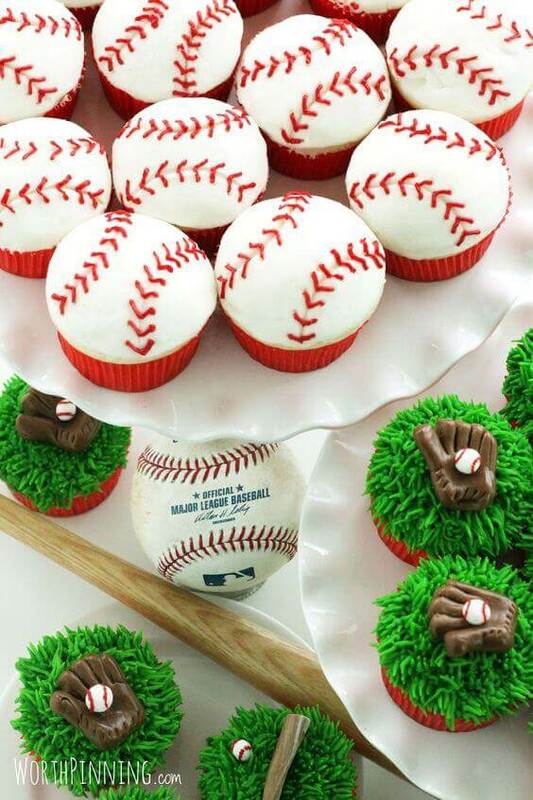 With baseball season well under way, spring is the perfect time to host a baseball themed party filled with these delicious desserts. Learn how to make these baseball themed cupcakes yourself with simple ingredients and a little creativity. The gloves and bats are molded from Tootsie Rolls, and the mini baseballs are made of gum paste. 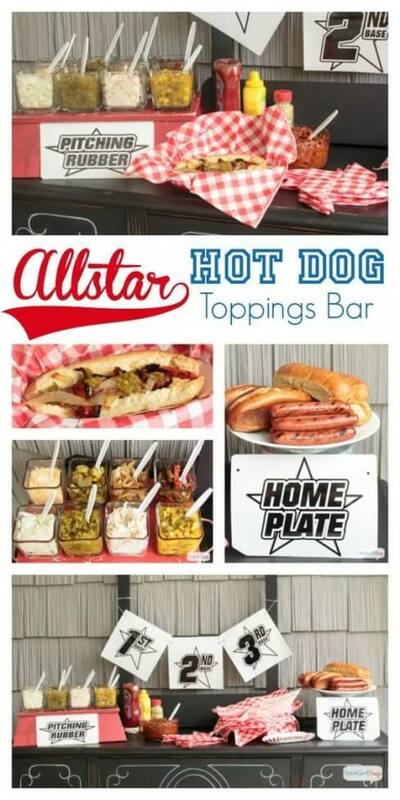 Throw some hot dogs on the grill, put out a few easy baseball-inspired decorations and set up your own delicious hot dog toppings bar and you have the makings of a perfect casual springtime party. Grill up some hot dogs then offer guests a variety of gourmet toppings like chopped onions, sweet pickle relish, pineapple mango salsa, and grilled peppers. Add some retro ball park decorations and you will find yourself in the big leagues. 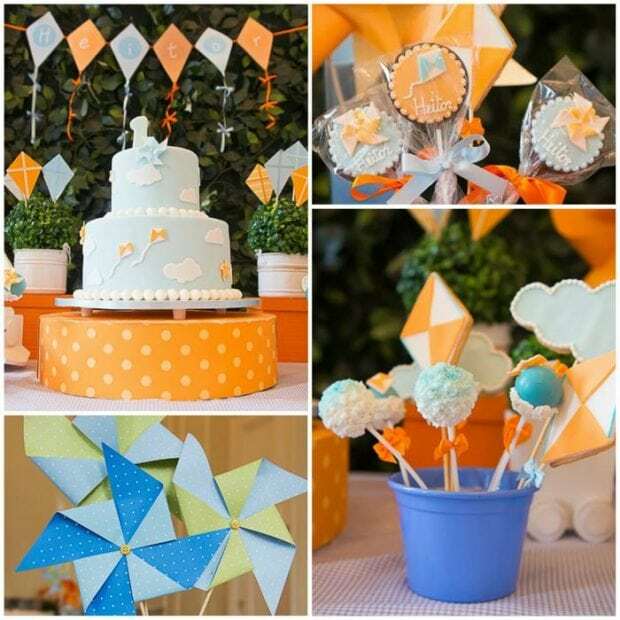 Coordinating decorations and party printables in soft blue and yellow were the foundation of this simply adorable kite inspired second birthday. The dessert table was filled with white, blue and yellow sweets that look adorable and delicious. My favorites are the milk and cookie shooters and cloudy day cake pops! 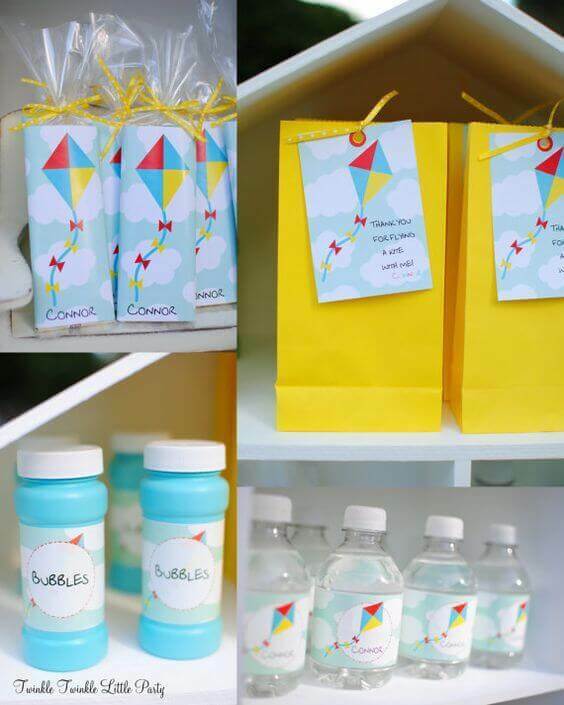 Guests took home little yellow goodie bags and bubbles with a custom kite wrapper. Looking at this charming boy’s birthday party is as refreshing as taking a breath of fresh air! Amanda of Red Wagon Events styled this delightful Hot Air Balloon Celebration filled with sweet details. A backdrop of stylized clouds and a giant hot air balloon set the mood for a beautiful menu, companion decorations, and gracious favors. This is such a magical theme for a little one’s first birthday. 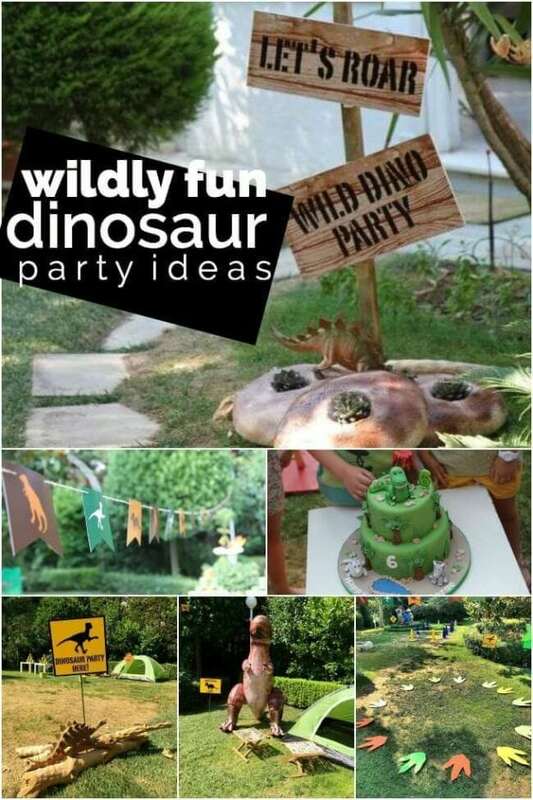 From “dino-mite” decorations to a super cool dinosaur birthday cake, this wildly fin dinosaur themed party has loads of inspiration for you next boy bash. The perfect outdoor venue was taken to a whole other level with creative decorations and themed party games. Little prehistoric vignettes were set up all over the grounds and included inflatable dinosaurs, driftwood, succulents, natural foliage, and dinosaur toys! 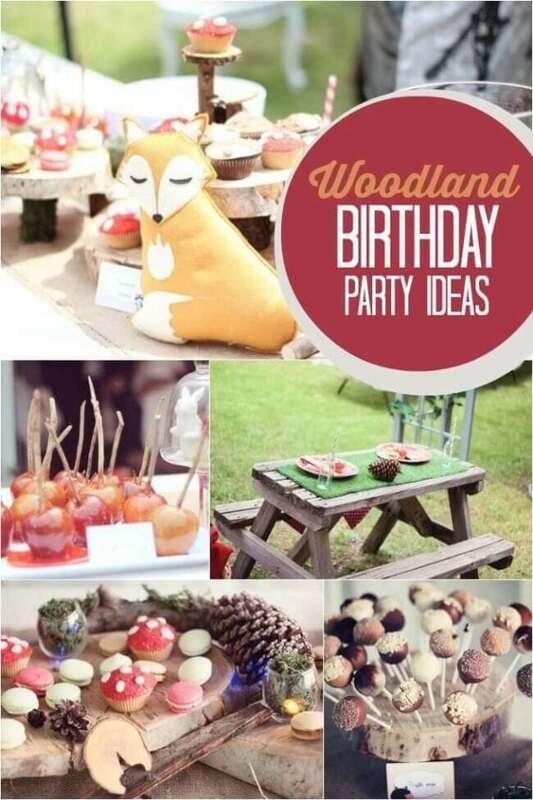 Magical decoration ideas and enchanting details will send your imagination soaring in this lovely woodland themed boy’s first birthday party. The rustic and woodsy décor pairs perfectly with beautiful pops of cherry red. Charming desserts entice on the forest-inspired dessert table and you are sure to fall in love with the handmade detailed scattered throughout. 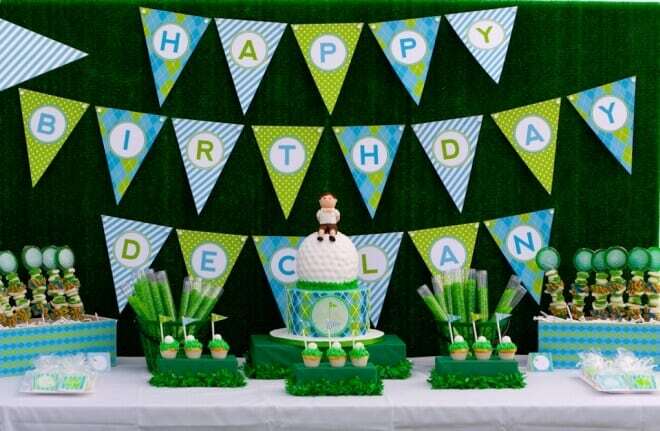 This precious golf themed party is sure to be a hole in one! Aqua blue and lime green radiates through the party, with fun prints like argyle and stripes. The dessert table is especially gorgeous, with a fake turf backdrop, grassy cake stands, bright birthday bunting, and amazing fondant golf ball cake. Guests were also gifted adorable golf get-ups and toy golf clubs to play with in the field. Does your child love playing soccer? You’ll want to pin, bookmark, or otherwise remember these party pictures because you are sure to find a lot of inspiration. Soccer ball sugar cookies displayed in faux grass, soccer net backdrop for the dessert table, and an Oreo cookie cake are only some of the amazing soccer themed ideas you will find! 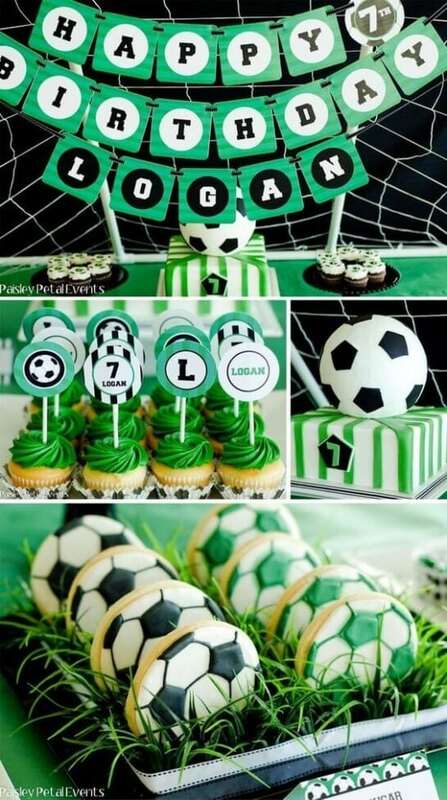 From birthday parties to end of season celebrations, these soccer themed party ideas will definitely impress all of your little soccer fans. The dessert table at this party featured glass jars filled with black and white candies, platters with chocolate and vanilla mini donuts, and an incredible display of mint Oreo cookies. I also love the champagne glasses filled with green jelly beans and a soccer ball pick. 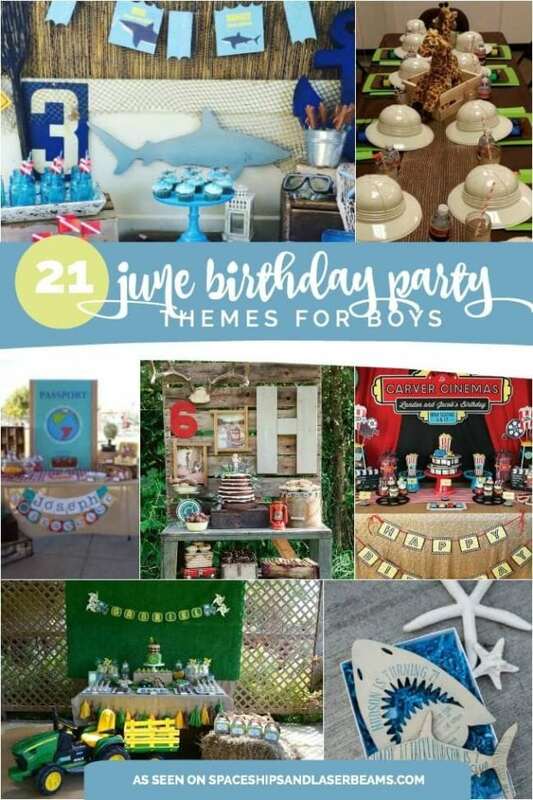 An outdoor summer camp party theme is perfect for any adventurous kids out there. There are so many fun ideas can use for a camp theme too! This party included a do it yourself s’mores station, cardboard canoe races, a fishing pond, and so much more. This party is bright and colorful too, with vibrant orange, green, and blue decorations. 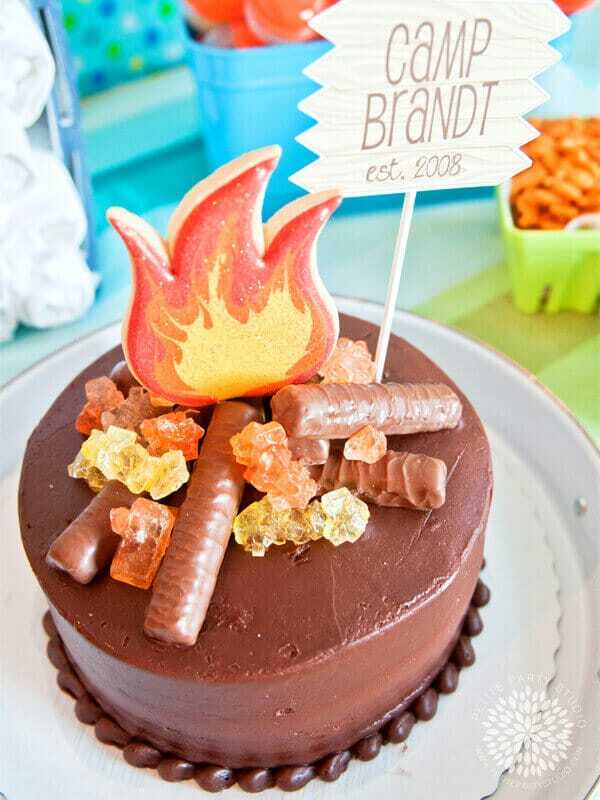 One of my favorite parts is the homemade campfire cake complete with rock candy flames. Farm themed birthday parties usually lean to the rustic side, but this brightly colored modern take is a fun and welcomed change! The dessert table is set in front of a cute barn door backdrop and filled with delicious on theme desserts. 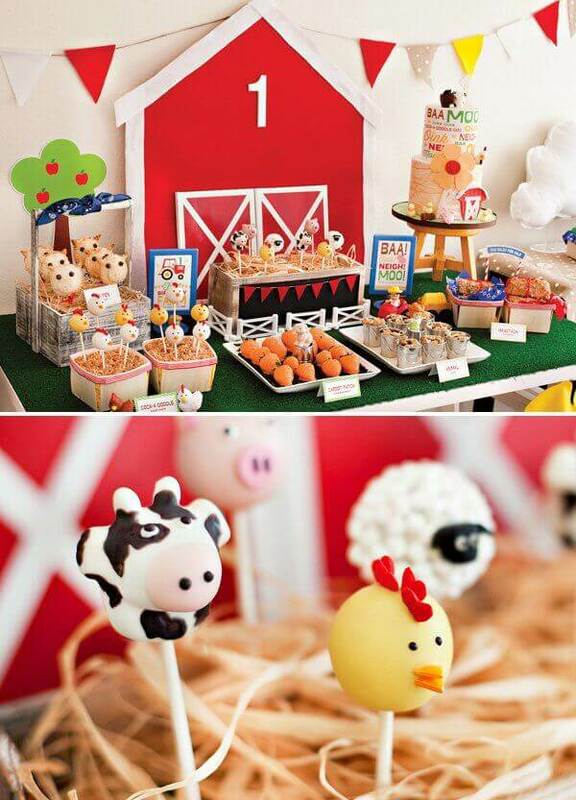 Little farm animal cake pops, pig pen pie pops, and carrot patch chocolate covered strawberries are among some of the tasty treats. CREATE A SPECIAL BIRTHDAY PARTY WITH THESE GREAT SUPPLIES PUT TOGETHER BY THE SPACESHIPS AND LASER BEAMS CREW. Previous Post: « 19 Ways to Treat Yourself — Without Spending a Lot of Money!